The panorama from the Spinnaker Tower in Portmouth on the mouth of the Solent, a city with a Royal naval history, left me with a lasting impression. 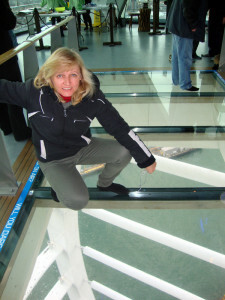 The Tower has a transparent floor which gave me a strange feeling when standing on the glass at a height of 170 meters. Have you ever flown over land in a balloon with a glass bottom basket? It was invented by aeronauts to give you a sharper acute feeling. When you fly over fields and meadows and it isn’t necessary to hang over the edge of the basket wall, because all is clearly visible under your feet, and picturesque views change one after the other. On the glass platform of the tower you can only see geometrical forms of the metal design and lapping sea waves under your feet. If you are brave enough to step into this limpid pool, first you will have to overcome your innermost fears. 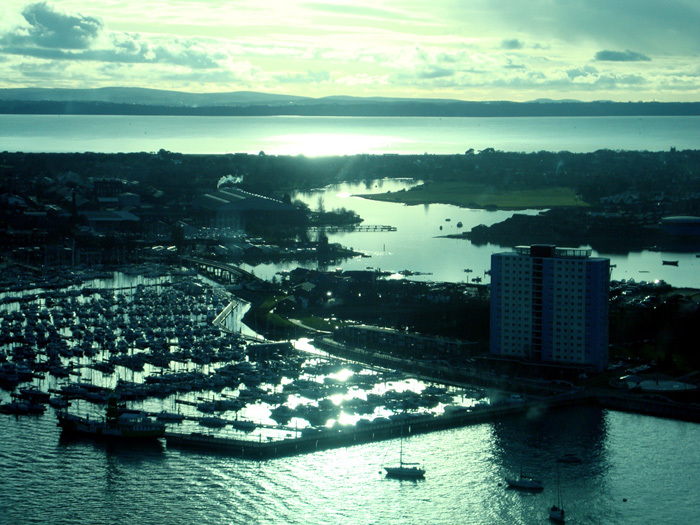 The panoramic view of the sea and the landscape of the city visible through the transparent walls is the most delightful scenic view from the tower. In spite of the fact that views are stationary, it’s a breathtaking sight of the natural harmony of sea, carved coastlines of islands and the city’s modern architecture. 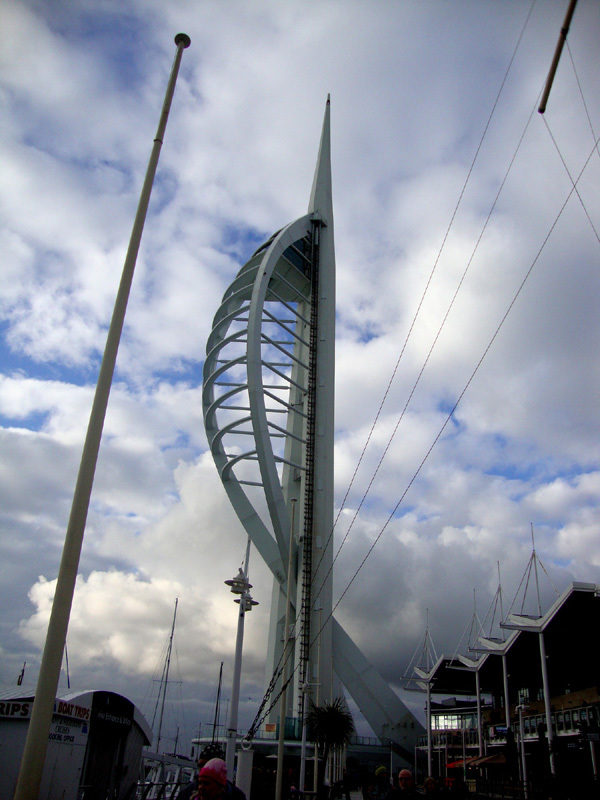 The naval history of Portsmouth is about 800 years old but legends about sea pirates date back to before the Roman invasion. 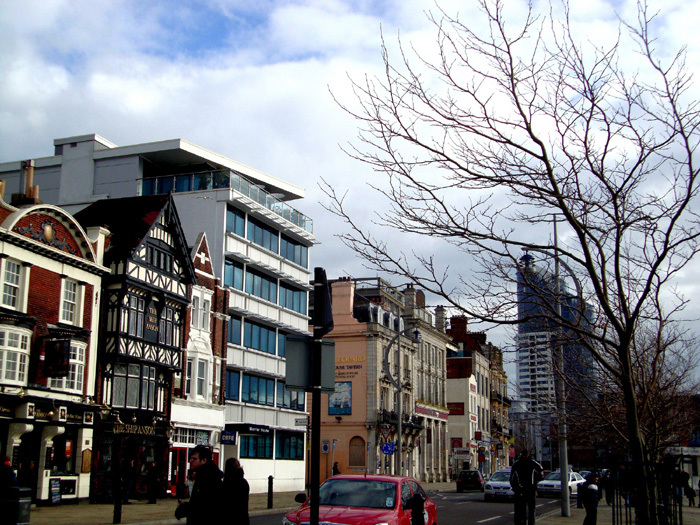 Take a walk along the embankment, visit the museums and you will learn a lot about the history. In one particular exhibit, it’s possible to be photographed with sculptures of pirates, you can learn shipbuilding history and to see historical ships and fragments of more ancient vessels. The Tudor carrack Mary Rose, a leader of the English fleet of the 15th century, sank off the coast of the Isle of Wight in 1545, protecting the island from the French. In a sea museum there you can see fragments of this sailing vessel lifted from the bottom of the sea 30 years ago. Similar ships were used on the oceans during an era of great geographical discoveries since the 17th century. Where can you find such a historical monument? HMS Warrior is the first iron-hulled warship to be built in the world in 1890. It never participated in any sea battles, probably a sad story for a frigate. 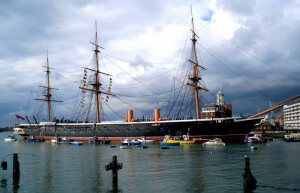 But today it is a museum ship moored in Portsmouth harbour. 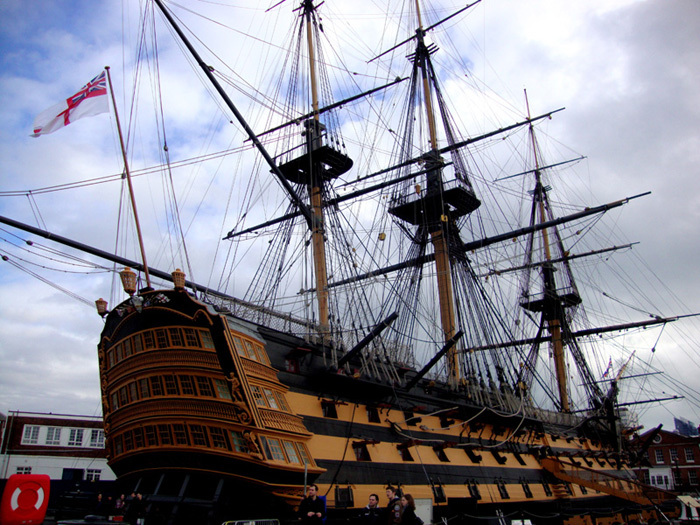 The legendary HMS Victory was the flagship of Admiral Nelson, famous for the Battle of Trafalgar in 1805. The ship is in dry dock by the sea embankment of the city of Portsmouth, on this ship the admiral went on his last battle, where he was fatally wounded. A statue of Lord Nelson is on top of a column in Trafalgar Square in London immortalising the chronicles of this piece of English history. On the same embankment as the Victory in Portsmouth, you will find Henry the 8th’s sculpture. He was not only a King but also a dictator and a despot yet this significant figure created some of the history of this city. History will never judge people it simply portrays what events have occurred. The same goes with writers, we find their novels and stories very ingenious, the more known and respectable they are. 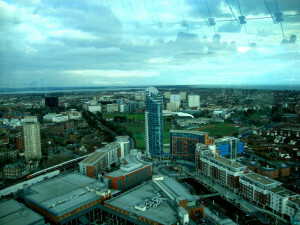 People like Charles Dickens who was born in this city. We like to read their literary works but more often than not, we don’t really know what kind of persons they were in real life. The colonial history of England also began from this city. As well as ships with immigrants leaving for new worlds, criminals were sent on to settlements in Australia. Since the invention of the airplane, airports became more important than seaports like Portsmouth because of their faster movement around the planet. 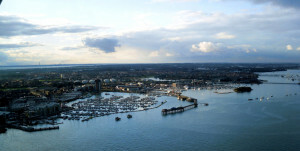 But on a ferry from Portsmouth it is still possible to go to France, Spain and the beautiful Isle of Wight and board very large cruise ships for sea trips across the Atlantic and other destinations. This entry was posted in History&Towns&Castles&Palaces&Museums and tagged Portsmouth best attractions. Bookmark the permalink.